yourself. This year, Saturn is aspecting your moon sign. Gemini, you may face challenges at work, yet you would proceed courageously and eventually reach your goals. As 2019 begins, financial problems or mental stress can keep you worried. In April, Saturn and Jupiter will be retrograding. Your horoscope indicates delays or a possible loss at work due to your partner. Stay alert at work and avoid trusting people blindly at work. Some confusion at work is possible and you may feel cheated. Remain calm and avoid overconfidence while taking important decisions. Gemini, Mars will be debilitated in your 2nd house from 22nd June to 9th August. A money related decision might backfire. Strictly avoid taking any loan in this period. Some relief is likely from September onwards. 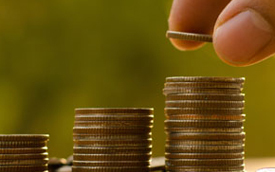 You will see a rise in regular income from the month of November. By the end of the year, clashes with your father are possible and your siblings might capitalize on this. 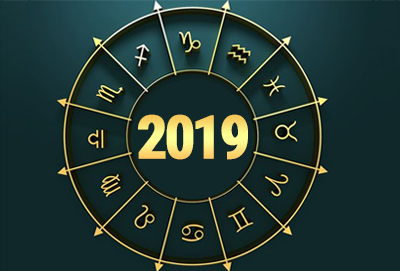 As per your 2019 horoscope, an auspicious event at your home is likely to restore harmony and peace on the domestic front, Gemini. Chances look good for purchase of a vehicle in 2019. Students will observe a bright period and results will mostly be as per expectations. Gemini, in your 2019 horoscope, Jupiter will continue to transit Scorpio from January to 30th March in your 6th house. From 30th March 2019 to 22nd April, Jupiter transits Sagittarius and then till 5th November, it will again transit Scorpio. 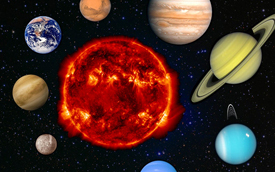 Jupiter will retrograde from 10th April to 11th August. Saturn will transit your 7th house in Sagittarius for the entire 2019, and will retrograde from 30th April to 18th September. As the year begins, Rahu continues to transit Cancer and from 7th March, it enters Gemini for the rest of 2019. Ketu enters your 7th house in Sagittarius from 7th March 2019. Mars transits your 10th house in Pisces with the start of the year. 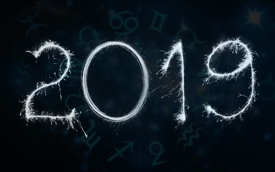 The year 2019 starts on a positive note for your career, Gemini, and things will proceed smoothly till April. However, the period from April to September looks stressful for your work. Work related tension might trouble you. Chances of restarting an old or halted work look good. New offers from abroad are likely and timely completion will bring you good financial profits & rise in reputation. If in a partnership business, work carefully and be alert against a possible unexpected loss. Avoid accepting any new work offers now, Gemini. Your 2019 career horoscope advises you to stay away from starting a new work this year. If in a job, 2019 would welcome you with a promotion and salary hike. Relocation or a job change to a desired place is quite likely at the start of the year. 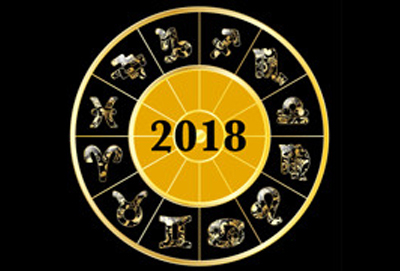 According to your 2019 career horoscope, your seniors can help you if seeking a transfer in job. Your hard work and efforts will be appreciated and rewards will eventually come to you. The months of November and December seem profitable for your career. In 2019, your finances will see significant growth, Gemini. An income-based work can bring you profits, as the year begins. Spend wisely, as rising expenses might trouble you. From March, financial condition will see improvement and your expenses will reduce. In 2019, investments seem to bring the desired profits. You may invest in share market after April. Planetary positions favor a change of residence this year and around mid-2019, expenses on land or property are possible. Gemini, if working for media, arts or legal work related firm, then 2019 would bring sparkling gains. Spending on friends is also indicated. Avoid lending or borrowing money under someone’s influence. After 25th September, taking of loans is not advisable, as per your horoscope. A sudden profit from parental wealth or old investment is likely around November. You may have to make unexpected expenses on your children, which might cause financial problems. Your love and married life seems pleasing in 2019, Gemini. 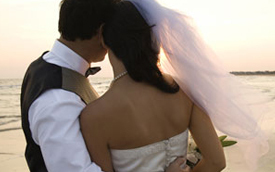 You will enjoy a harmonious time with your partner. In case of a fight, you will take the initiative to sort things out as soon as possible. Gifts and surprises will keep things smooth and cordial. As per your love horoscope 2019, you are likely to meet a potential partner around mid-2019 if you are seeking one, Gemini. Avoid stepping into a love triangle, as you will lose your reputation. If married, you may witness clashes due to interference from a third person from May to September. Try to sort matters peacefully and well within time. If going through a divorce, then matters are expected to be finalized by mid-2019. Around September, take care of your partner’s health. If unmarried, you will soon hear a good news either at the start or at the end of the year. Gemini, in 2019, your health looks mostly stable and in good shape. However, your horoscope suggests that you be careful against a prolonged illness or health issue this year. After March, stay alert, an accident is possible. Drive carefully. Avoid clashes with anyone, as it might lead to stress and tension. Around the end of 2019, health of your spouse might suffer to an extent. Frequent short trips are on the cards this year, Gemini. After March 2019, your horoscope points at a possible foreign trip for you, which may be for pleasure or work related. Around May 2019, you may plan to send your child abroad for further studies. Around August, you may plan a pilgrimage with your workers. Gemini, your family front seems to witness mixed results in 2019. Till March, misunderstandings with family members might bring frequent clashes and lack of harmony. A female might lead to arguments with your spouse, if married. Stress due to in-laws is also possible now, Gemini, and you should handle this situation diplomatically. A party or celebration around May or June 2019 would improve your bonding with everyone. Near the end of the year, any disputes relating to parental property will be sorted and you will get your share peacefully. 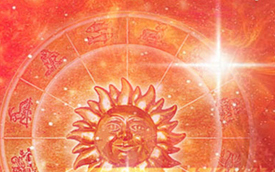 Around the month of March 2019, your horoscope indicates some tension related to children due to their health or studies. Around mid-2019, your dream to send your child abroad for further studies is likely to come true, and would need your complete attention.